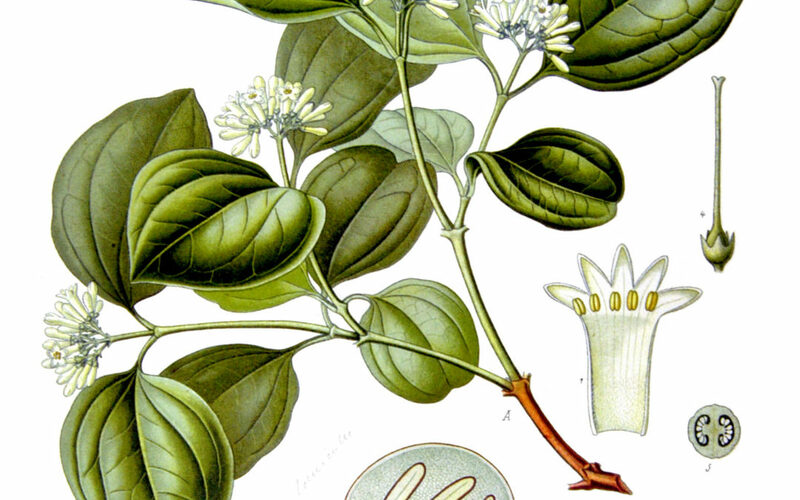 Nux vomica is prepared from the seeds of Strychnos Nux Vomica, a tree native to India and Southeast Asia. It has been used in homeopathic medicine for over two hundred years for digestive and sleep complaints. Sleepless from 4am, thoughts of business. It is frequently the first remedy, indicated after much dosing, establishing a sort of equilibrium of forces and counteracting chronic effcts. 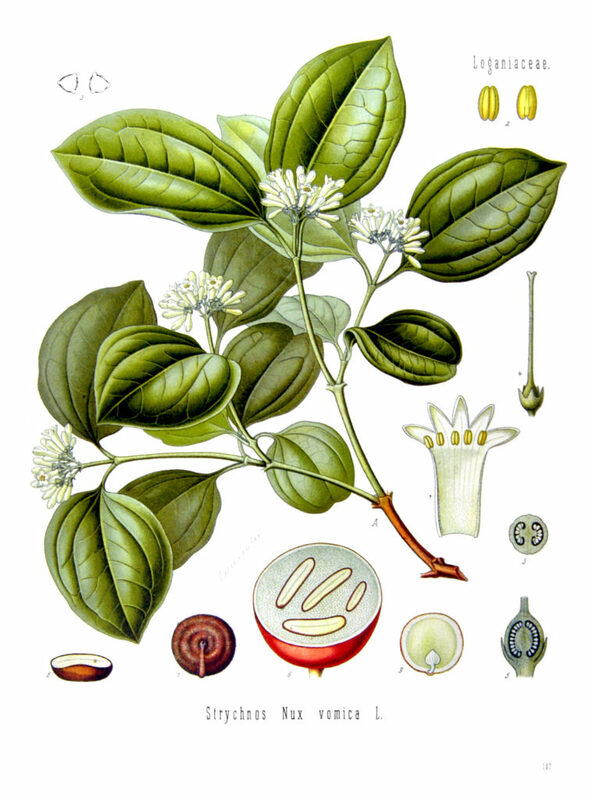 Nux vomica is pre-eminently the remedy for many of the conditions incident to modern life. The typical Nux patient is rather thin, spare, quick, active, nervous, and irritable. Stool daily though always with a colicky sensation in the abdomen and with the stool, it always seems as if it was not enough. Frequent, ineffectual desire for stool. Wakes at 3 or 4am and lies awake for hours, falls asleep when it is time to rise and feels heavy and unrefreshed. Nausea: constant; in morning; affecting body here and there, as if everything was fermenting; after dinner; after anxiety; from smoking; with fainting. Gastralgia worse from food, better from hot drinks and from belching. Nervous and dyspeptic troubles caused by worry and much mental work, with too little bodily exertion.